Join us in celebrating International Women’s Day! This will be an exciting and motivating networking luncheon for all at the Webster House honoring women whose work is making an impact around the globe. Come learn more about international trade and make new connections. Jeanette Hernandez Prenger will be the keynote speaker, as she inspires us to engage our career passions and talents creating something unique and sharing how she has taken her company to other global markets. The ITC plans to also honor Narbeli Galindo, EDC Director of International Affairs for Kansas City, MO with our Legacy Award! Truly, a perfect way to continue to celebrate this new year! How can a woman with a passionate interest build a successful business and grow it globally? Jeanette Hernandez Prenger is the Founder and CEO of ECCO Select, a Kansas City based company, which is an award-winning IT consulting and professional services firm and one of the top 500 Hispanic Businesses in the United States. ECCO is based in Kansas City with an office in the DC area. Jeanette has been a pioneer for women in technology, mastering to implement multiple technology advancements while working for Fortune 500 companies. Additionally, Jeanette and ECCO are recipients of numerous awards for their achievements in business and generosity in the community, both nationally and locally. The Kansas City Business Journal has named Jeanette to the Power 100, a list of the 100 most influential business people in the Kansas City region since their inaugural list in 2014. Jeanette has been named an Enterprising Women of the Year by Enterprising Women magazine and has been featured in HER Life Magazine, FORBES, Business Week, Oprah Magazine and many other career and business publications. 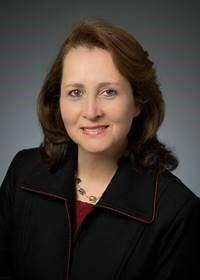 She serves on the executive board for the Heart of America Boy Scout council, the National Board for The Boys Scouts of America and other national boards such as The Latino Coalition, Women Impacting Public Policy (WIPP), the Women’s Forum for the Women’s Business Enterprise National Council (WBENC), and the Junior Achievement USA. Internationally, she is on the board of Orphaned Starfish Foundation, which provides technology to orphanages in Spanish-speaking countries, India and Africa. Narbeli Galindo is an accomplished international marketing, management, business development and finance professional with over 30 years of international corporate, academia and business experience. As of January 1, 2015, she became the Economic Development Corporation (EDC) Director of International Affairs. She is responsible for all global aspects of the Kansas City, Missouri, including providing resources and assisting KC global local companies and businesses regarding export & import opportunities. She also acquires and attracts initiatives for Foreign Direct Investments (FDIs) to increase capital investment and job creation in KC and managing and welcoming International Dignitaries to increase cultural and trade ties. As of today, she has accomplished welcoming and working with over 213 governmental officials from all the globe, assisting over 235 local companies to exports and welcomed over 35 companies from 50 countries. Prior to her current role with the EDC/KC Narbeli was Narbeli’s Imports LLC, President and CEO, and held various leadership roles with Cerner Corporation, Sprint, AT&T and Warner Lambert Co. (known as Pfier). She is currently an ITC Advisory Board & 2014 ITC Past President, an IRC Board of Director, a FBI Citizen Academy committee member and past UMKC Finance and International Trade professor at UMKC. In 2018, the KC World Trade Center and International Relations Council recognized Narbeli for her successful international work for the KCMO community. The International Trade Council of Greater Kansas City is a network of international business professionals, educators, and students that actively work with each other and the community to build a stronger support system for international trade in the Kansas City region.